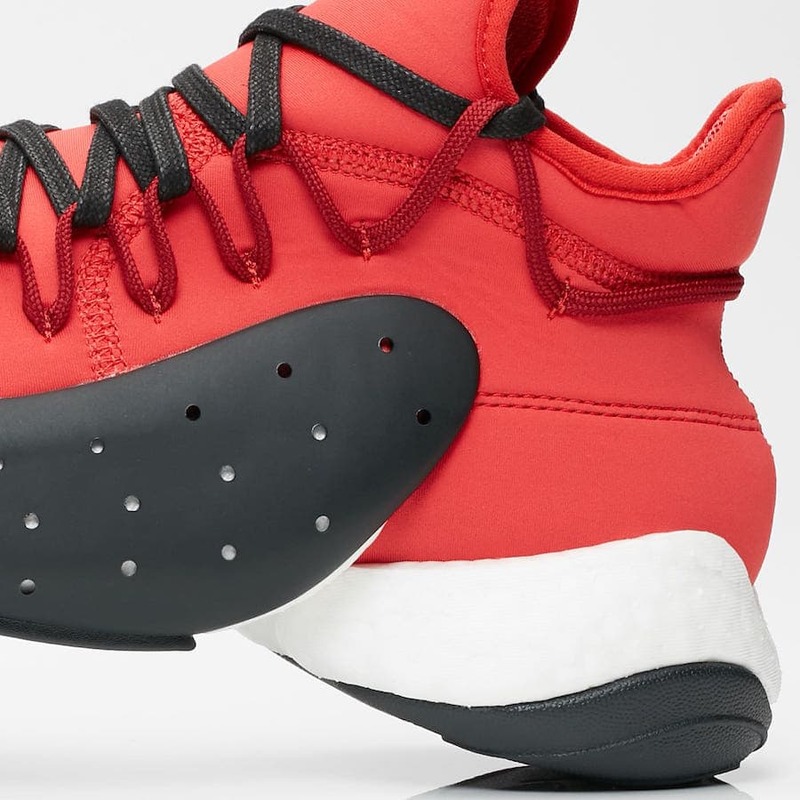 James Harden and Y-3 both have a penchant for high-performance goods. 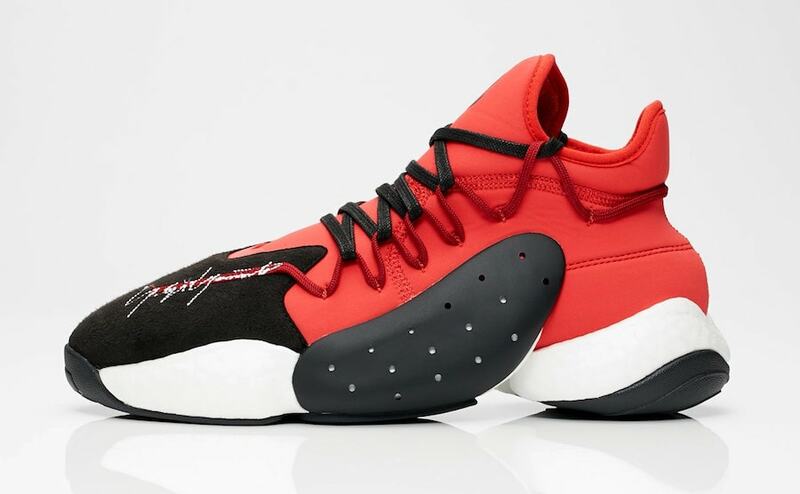 It was revealed early this year that the two adidas-backed brands would be collaborating on a capsule collection, including the highly-anticipated BYW silhouette, now in Lush Red. The adidas Y-3 brand is known for their far-fetched designs and futuristic look. 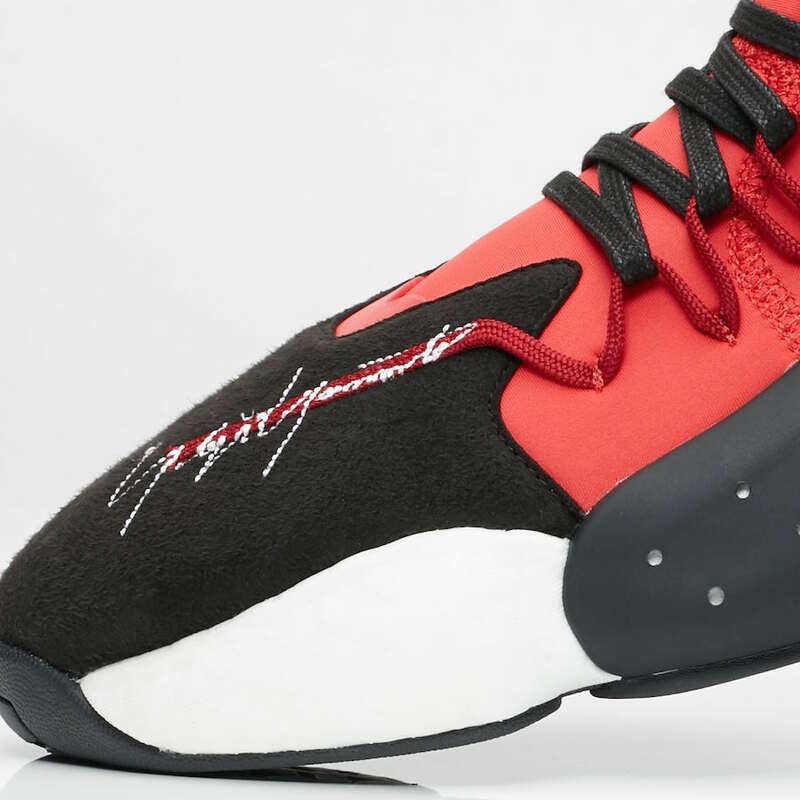 With the recent addition of James Harden to the adidas family, the high-fashion label run by Yohji Yamamoto has some new inspiration to build on. 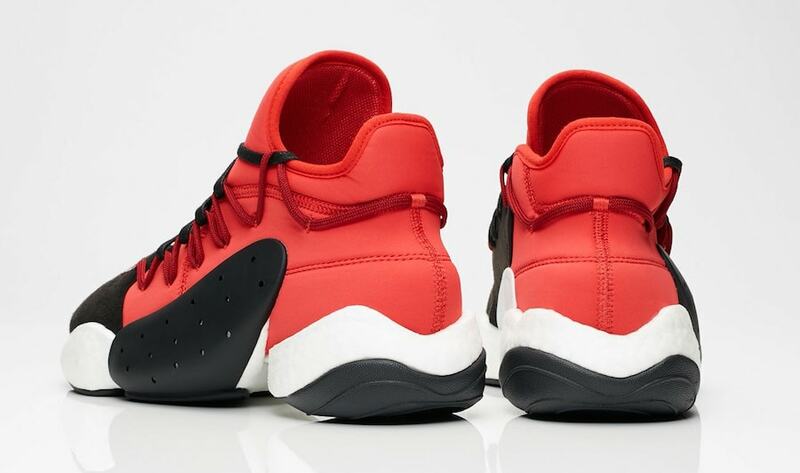 The star Houston Rockets guard is still fresh off the release of his second performance silhouette. Now, the All-Star and fashion fanatic have collaborated with Y-3 on an extensive collection including footwear and apparel which debuted earlier this year. Now, the two are continuing to expand their offerings with a bright new colorway of the luxury Boost silhouette. 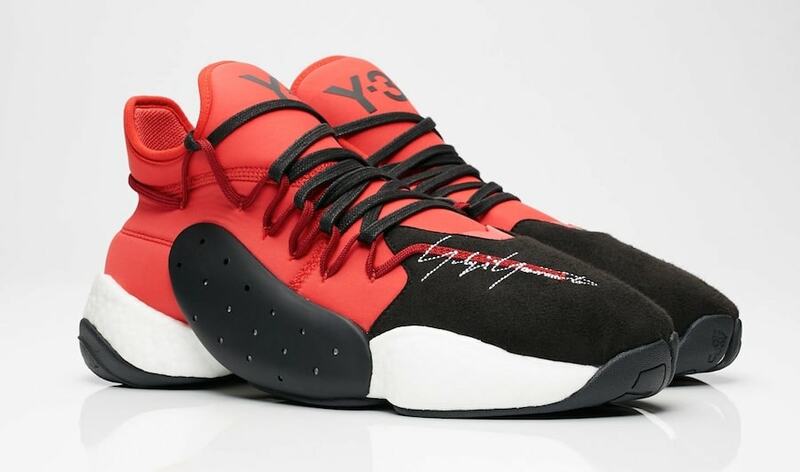 The neoprene upper of this Harden x Y-3 adidas BYW comes in the signature Lush Red tone, contrasted by a black suede toe cap. 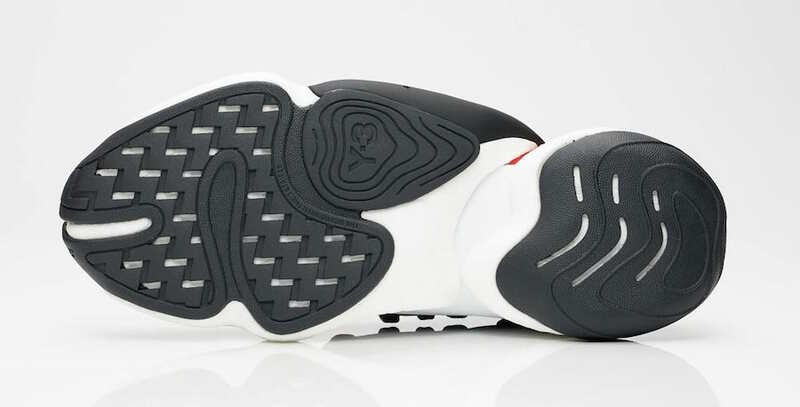 The sectioned Boost midsole comes in plain white, with a rubbery black pod-like section covering the midfoot Boost piece. The bright new colorway of the Y-3 BYW BBall Harden is available now from retailers like SneakersNStuff. The Lush Red color will retail for the usual $450 price tag, and will likely find its way to other retailers soon. 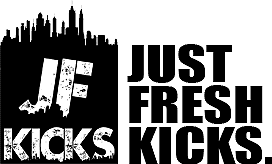 Check out the official images below for a better look, and stay tuned to JustFreshKicks for more interesting Y-3 news.